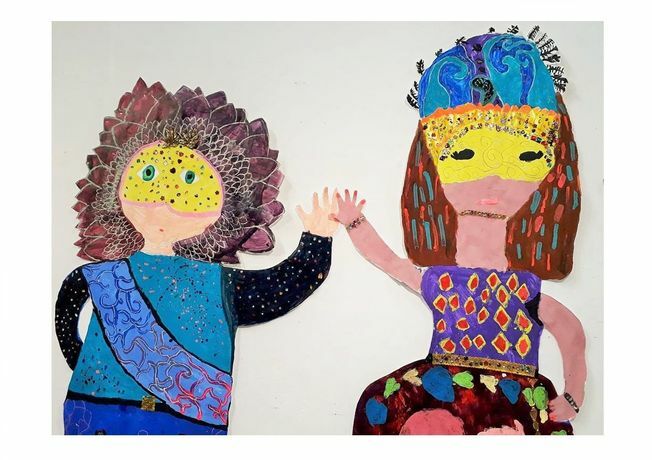 MakeArt is the exciting annual showcase of children's artwork, created on the MakeArt Programme by artists aged 4 - 16 years old. The Tuesday MakeArt class have made wooden pull string puppets making up a menagerie of creatures, both real and imagined. You can explore a paper mache city, constructed by Thursday MakeArt, with vivid colours and quirky detailing. The MakeMoreArt artists will be presenting beautiful prints inspired by flowers and birds, as well as transcriptions of Henry Moore's Sheep Sketchbook in fine line pen and ominous eye drawings.